With a convenient location on The Esplanade, Novotel Darwin CBD provides the ideal base for exploring the city. Guests can check out Darwin's many restaurants, bars and shops, and its attractions such as the Kakadu and Litchfield National Parks. 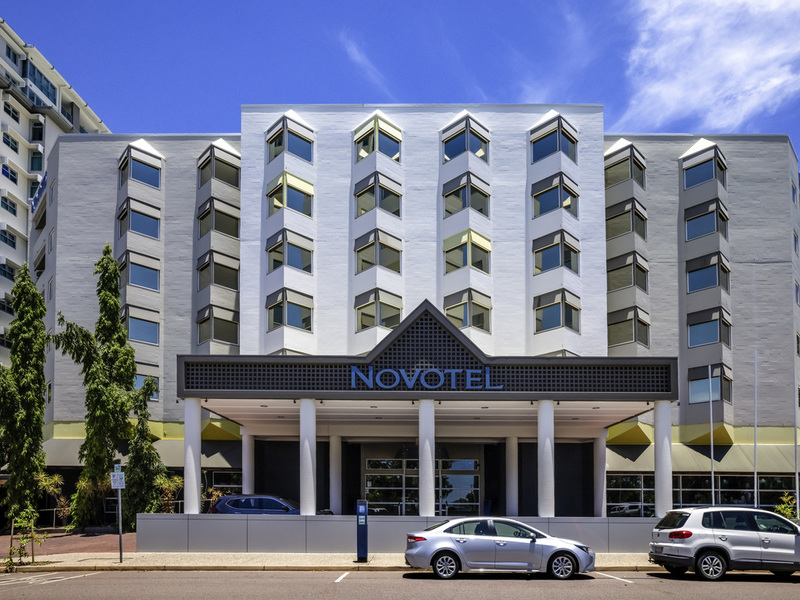 Perfect for both business and leisure travel, Novotel Darwin CBD offers a variety of accommodation options, including Standard and Superior rooms, and spacious two bedroom apartments. Stylish and contemporary, guest rooms at this excellent Darwin hotel feature everything needed for a comfortable stay. Guests can enjoy a range of convenient facilities, which include a TV with cable, wired and WIFI Internet access, a work desk, a minibar, air-conditioning and ensuite. Discover the tastes of the award winning Zest Restaurant. A cuisine that combines Australian comfort food & dishes showcasing Indigenous flavours. Jabiru Bar located amongst the greenery of the atrium. The perfect place to meet & relax after a long day. Happy Hour daily.